The initial plan was to take an early train to Varberg to get to the convention around 11 am. 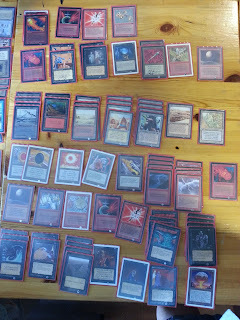 My weekend began with a trip from Oslo to Gothenburg, and as my girlfriend was leaving Gothenburg for Stockholm early Saturday morning, the idea was to get to the central station early with her and get to Warcon in time for their legacy tournament. A few weeks ago, we learned that Warcon would not host a 93/94 tournament like last year however, so the timing restrictions were suddenly off. As a community, we are not adverse to finding our own solutions for these kind of things, and Kingen took the initiative to host Kingvitational 0.5 in it's place. A little over a week ago, WotC posted a Magic 2014 rules bulletin. The changes in comp rules and Oracle errata affected both of the two cards that we had a previous errata on in 93/94. City in a Bottle didn't receive functional errata, but the comp rules changed in in a way that makes our errata unnecessary. Expansion symbyl is no longer a characteristic, and now City in a Bottle instead removes all cards originally printed in Arabian Nights. This includes e.g. Revised Kird Apes, but it does not include Mountain, which was originally printed in Alpha. We hence remove our errata on City in a Bottle (as it's no longer relevant), and use the Oracle version from now on. Every collectible genre has a "Holy Grail", some item that will be the crown of the collection. These holy grails are often known by people that don't know about many other aspects of the hobby, and are such a part of pop culture that they all have sections on Wikipedia. These items are extremely rare, but obtainable if the buyer has a big enough wallet and enough time to search. For Comic Books, the Holy Grail is Action Comics #1 from 1938. This may not be the single rarest or most expensive to buy comic book ever (e.g. the insanely rare ashcan edition of Flash Comics #1 has an asking price of $5 million), but it is still the most coveted comic book of all time, and it would be the crown of any collection. Video game collecting, like most other, also have some actual unique items, such as Nintendo Campus Challenge 1991. The Holy Grail of video game collecting is however generally considered to be the 1990 World Championship game. Today's topic is a little different than usual. Most of the examples and the pictures that I write about today have been taken from the page Apathy House (http://www.apathyhouse.com), but I feel that everyone should be aware of the basics on the topic, so I summarize it here. 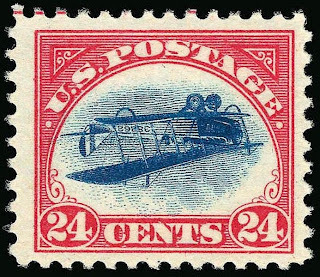 For some more info on tests and such, see the post Spotting fakes part II. 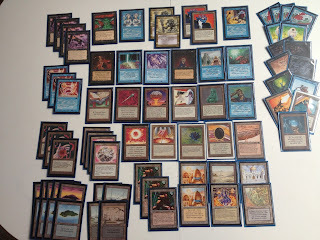 93/94 is a format with very expensive and rare cards, many which fetches sums up to and above a thousand dollars. A friend once said that even though there were only 4300 black bordered Lotuses ever printed, and that a lot of them may be lost to time, there probably exists more than 4300 black bordered Lotuses. 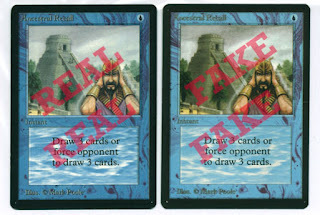 Faking magic cards is both easier and more profitable per unit than faking e.g. $100 bills. So how do we spot fake cards? Personally, I can go either way with the rounder corners of alpha cards. I usually don't care that much about black or white borders either, as long as there is consistency among the cards in the deck (e.g. I would much prefer to play four autumn Mishra's Factories than two autumn and two winter). However there are some cards in alpha that I really think are much sweeter than the beta or unlimited versions. Today I'll show off three of my favourites; maybe you've missed them.